Scientists are assumed by different groups to portray varying functions in society, sometimes involving conflicting tasks. The therefore seemingly multi-faced scientist has many roles to play, not all of them feasible or acceptable, and many in fact disputed. In this past month alone I have heard of many different hats a scientist is expected to wear on different occasions. To name a few: At the ‘Science and Policy making’ conference in Brussels on 29-30 September I have been told that scientists are a minority in society and should behave as such when providing policy advice. At the same time these scientists are expected by some to raise public interest and faith in science by communicating their research clearer, and make it seem more attractive. Someone else suggested scientists need to spend time filtering out truths in social media, or act as a saviour in the information proliferation crisis. And in this past week Daniel Sarewitz has sparked everyone’s attention by stating the main task of scientists is carrying out mission-oriented research, instead focussing on free play of free intellect. In my experience bold statements can lead to fascinating discussions. This newsletter will address and contribute to these discussions with a reaction to Daniel Sarewitz by Koenraad Debackere, two policy changes in the making, and much more. Enjoy! Since 2012 The Swedish Agency for Innovation Systems (Vinnova) has developed a model to assess performance and quality of collaboration between Swedish HEI’s and external actors for a basis to allocate resources. This model has been tested through 2 pilots. Recently Pilot number 2 was executed, in whihch 26 HEIs participated. Based on the experiences with the pilots Vinnova has forwarded their recommendations to the Swedish government for the coming bill. During 2016 the minister for Research and Higher Education has stated that collaboration and Impact will be prioritized in the coming Research and Innovation Bill. The HEI’s in Sweden are now expecting that the way forward will be clarified when the Research and Innovation Bill is launched by the end of November 2016. Impact of Science 2017 - Early Bird registration is open! In line with the political momentum present in Sweden, as outlined in the article above, the AESIS Network will host it's annual 'Impact of Science' conference on 12 and 13 June 2017 in Stockholm, Sweden. The first speakers have been announced and include Prof. Koenraad Debackere, who will chair the conference, Sir Peter Gluckman, Dr. Alan I. Leshner and Daya Reddy. More information on the conference can be found on our website. Registration is now possible. The Early Bird offer expires on 31 December 2016, 23.59H (CET). In a recent article, Daniel Sarewitz (Saving Science, The New Atlantis, Spring/Summer 2016) quite strongly challenges and debunks the myth of free science. He provocatively posits that science is not self-correcting, but rather self-destructing. In order to save science, scientists must come out of the lab and into the real world. He goes on enumerating a rich variety of cases that instruct us that scientific progress is best served by a problem-solving approach. This problem-solving orientation is succinctly summarized as “at some point, you really have to save a life”, or “how do you create materials for jet engines and fuselages that are lighter and more durable under extreme conditions?” Hence, science is at its best when it is mission-oriented. Challenging questions, creative minds, rigorous methods supported by lots of technology (equipment, instruments) should do the trick. This combinatorial approach stands in sharp contrast with Vannevar Bush’s definition of how science operates at the endless frontier: “Scientific progress on a broad front results from the free play of free intellects, working on subjects of their own choice, in the manner dictated by their curiosity for exploration of the unknown” (Science, the endless frontier, a report to the President, July 1945). Sarewitz takes a quite strong position on Bush’s advice. He calls it “the bald-faced but beautiful lie upon which rests the political and cultural power of science.” It leads to a defense of the scientific enterprise by walls of hype, myth and denial. It is obvious that Sarewitz’ thesis is not met with unanimous enthusiasm, applause and consent in the scientific community. Counter examples have to illustrate that the free play of free intellects creates insights long before possible missions become visible or even understood. One example is Alan Turing’s solution to Hilbert’s Entscheidungsproblem of whether provable statements can be distinguished from disprovable statements by strictly mechanical procedures in a finite amount of time (see Georges Dyson, Turing’s Cathedral, 2012: p. 94). Turing’s solution was the universal machine that von Neumann later attempted to build. For many scientists, this example, as many other ones, illustrates “par excellence” the beneficial effects of the free play of free intellects. The endless frontier has thus turned into an endless debate. But should the scientific enterprise be polarized in such a way? I think we deserve better. Alan Turing did not operate in a vacuum. He was confronted with deep epistemic and ontological problems that needed solving; even when solving those problems was not (yet) linked to the design and development of a particular artifact, contrary for instance to the attempts of Charles Babbage to physically build a difference engine. Delving deeper in the many cases offered to support the polarizing positions, one is struck by a common thread that is characteristic, in a rather generic manner, of good science. And this common thread is relevance. Scientists want to combine rigor and relevance, or mens et manus. Relevance is multifaceted. However, it always points to the deeper motives for conducting a particular scientific opus, for publishing certain scientific results and insights, for explaining why it is important to discover and to develop answers to particular questions. Relevance can be about filling fundamental knowledge gaps, as Turing did, but it can also be about saving lives as Sarewitz describes, or understanding why and how social relationships shape societies and organizations, etc. Hence, this is a strong plea for making relevance enter the debate on free science. In order to be and stay really free, science should not shy away from demonstrating its relevance, not only in abstract terms, but also in specific and concrete terms. We may not be able to cure Alzheimer’s disease today, but scientists can and should tell why their curiosity-driven endeavors are the best way forward to tackle this huge problem of human decay and loss of dignity. In doing so, they can bring the endless debate to a closure showing that the rigorous play of free intellects, working on relevant subjects that excite their curiosity is the key to the fundamental progress human insight craves for. In doing so, we unravel and understand the laws, forces and mechanisms of nature and society. In doing so, we tread in the deep and large footsteps of that great Dutch polymath, Baruch Spinoza. For sure, there are lesser fates. So let us embrace that one. In May 2015 Ghent University’s Board of Governors approved the Policy Plan on Societal Value Creation of Research. The plan aims to provide an institutional framework for the stimulation and reward of the process of value creation, and the evaluation of (societal) impact. Although there was no additional funding or staff time, the Research Department has begun to implement the Policy. First, it's been talking to the University's research community about the plan. This involved organizing workshops, providing online information, quietly working behind the scenes to building an (international) network, and advising university leadership. And now, finally, two initiatives currently in preparation may bring about real change and cement a place for valorization processes and impact. These are bold and ambitious projects, when funding allocation and research assessment in Flanders is still centred around traditional output indicators. Firstly, an informal think tank was formed to investigate how Ghent University may be able to make societal impact an integral part of the model for the interfaculty allocation of staff.Secondly, a proposal to separately recruit a small number of tenured professors on the basis of their impact track record and strategy is a high-level hot topic. On top of the efforts to set up a supportive structure and accessible platforms to accelerate impact, both are strong signals. A clear indication that also in Flanders the times they are a-changing – although there is still a lot of work ahead. More information can be found on the website. The University of Copenhagen is not only our partner in organising the Winter Course on “Integrating impact in a research strategy” for a reason; they have been producing research with great societal impactfor years. To support this mission, the University of Copenhagen has included a course in the curriculum on science in society since 1989, which was set up by John Avery. This year has again produced a lot of fascinating research, of which the following two were perhaps the most impactful projects. The University of Copenhagen has invented a new way of cleaning air using light, with a technique called Gas Phase Advanced Oxidation (GPAO). On the website there is a video explaining the technique. The team created a spin-out company based on the technique, called INFUSER, which has already installed its first air cleaning unit in a company in Beijing. As air pollution causes more than seven million premature deaths every year, this technology should be expected to have a huge societal impact. In March the University of Copenhagen announced that an international team of experts, headed by their own electrochemistry professor Jan Rossmeisl, will help make chemical production greener, safer and more decentralised. Chemical processes to make consumer products are normally carried out at high pressure and high temperatures. To create these conditions requires large, toxic, centralised industries. The use of electrochemistry can provide safer and smaller-scaled process technologies. The coming 4 years Rossmeisl’s team will develop a new chemical technique, doing fundamental research as well as analyse where this research can be applied. These examples show that the University of Copenhagen works hard to valorise their research. On September 25-27, the 7th edition of the CiP Forum took place in Göteborg, Sweden. This forum with its strong focus on collaborations between industry and universities and in-depth dialogues on intellectual property has a long history as a meeting place for thought leaders from all over the world including CIPOs, CTOs and VPs from international companies such as Philips, Nestlé, and Ericsson as well as VPs from academia. This year's theme was convergence in the era of Internet of Things. 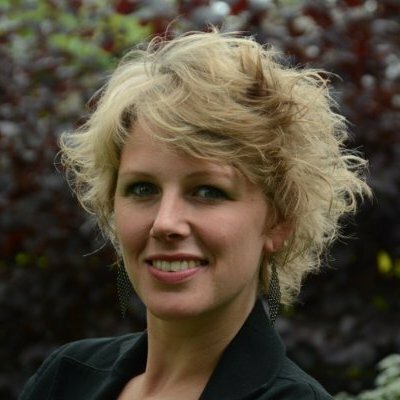 Claar-els van Delft, Network manager at the AESIS Network, attended the forum as one of the 250 participants. 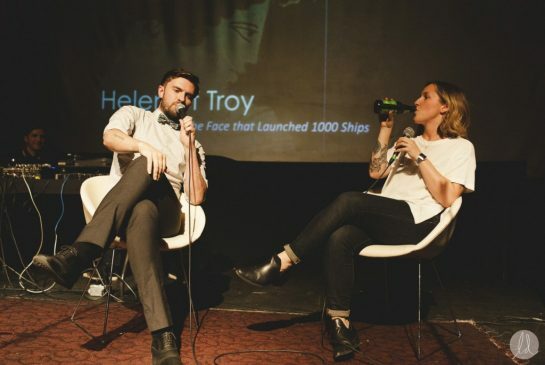 Apart from her great acquaintance with the city of Göteborg, she found the conference to be inspiring and a good blend of theory and practice. The sharing of ideas between participants was very stimulating and it was striking to notice that Impact has become a major issue at all levels of research collaboration. One of the things that she took home with her, literally, was a recently published book on Research Utilization, written by Ulf Petrusson. In this book Petrusson showcases a new Nordic model on promotion and self-assessment of collaboration and utilization. A very practical, hands on model to increase the knowledge of utilisation in the entire institution; to identify, together with the researchers, its opportunities and risks as well as to identify the needs to strengthen the impact of science at an early stage. Together with the other forum sessions the book endorsed the actuality and need for all stakeholders to reflect and act at all levels on societal impact of science. Did you know that all over the world Nerd Nites are held, where scientists share their research with the general public in a bar, to be paid for their contributions in beer? Did you know that every year the Ig Nobel prize committee rewards research that has impact by making people laugh? 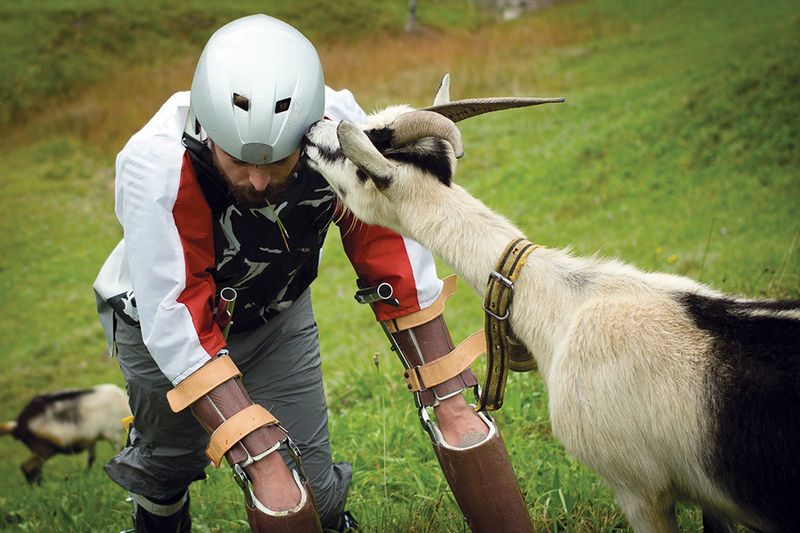 This year the biology prize was won by a man who turned himself into a goat using prosthetic limbs. We have reached the maximum number of participants, but you can still register for the waiting list and we will try our best to fit you in. You will hear if there is room for you October 30 at the latest. AESIS members can now submit articles for the next newsletter. Not a member yet? Becoming one is free! Register now. Copyright © 2016 ScienceWorks, All rights reserved.